After the premiere presentation of the 2014 Detroit Auto Show has made a boom, and then disappeared. 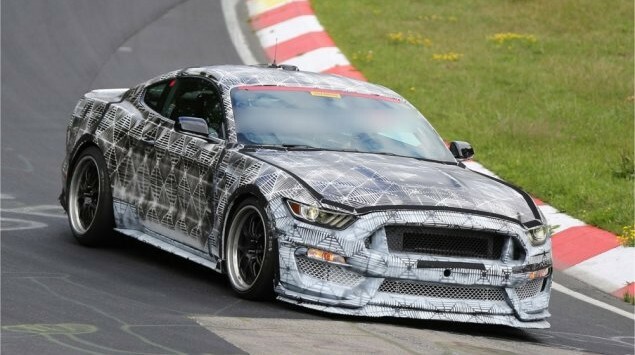 But do not worry, the time Ford Mustang GT350 SVT speeders has arrived! About the Ford Mustang is always great dust rising and not without reason, the best-selling sports car in America and one of the best selling in the world. The novelty of this year’s fair in Detroit certainly was the base model with the acclaimed Ford EcoBoost engine with four-cylinder that is not “American style”, but is connected to the turbo-chargers, this engine works wonders. Still, Americans like big blocks engines so that they will be much more interested in this model, which is currently on test in Germany’s legendary Nurburgring track. We will not waste words on him already know everything, and now you can enjoy this test video.